For many years we have been proudly stating that using our products will "delight your family with stone ground goodness." Naturally, it pleases us that the same whole grain products we stone grind on cool running French buhr millstones are today making health news all over the world. When you choose several daily servings of whole grain foods, you are providing the foundation for a healthy diet by eating foods that are from the base of the recommended food pyramid. 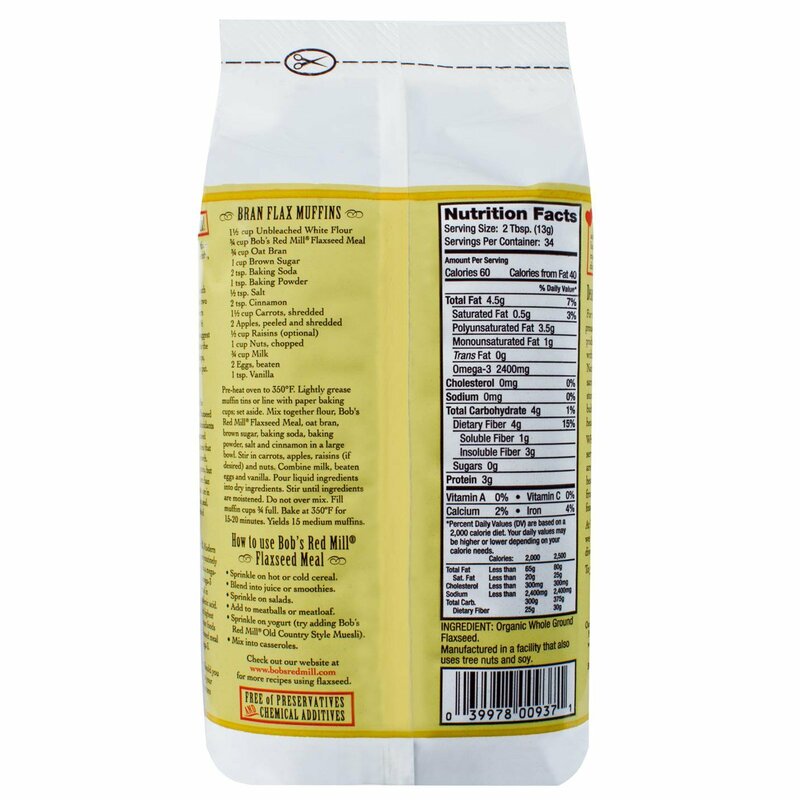 At Bob's Red Mill Natural Foods, we mill the widest possible diversity of whole grain foods. A is for Alpha-linolenic Acid. Modern diets - even healthy ones - are routinely deficient in omega-3s. Flaxseed is a megasource for the plant version of omega-3 called alpha-linolenic acid. The oil in flaxseed is about 50% alpha-linolenic acid. Canola and walnut oils, the next highest sources, have about 10%. But most foods have far less. One serving of flaxseed meal contains 2400 milligrams of omega-3. X is for Excellent choice. 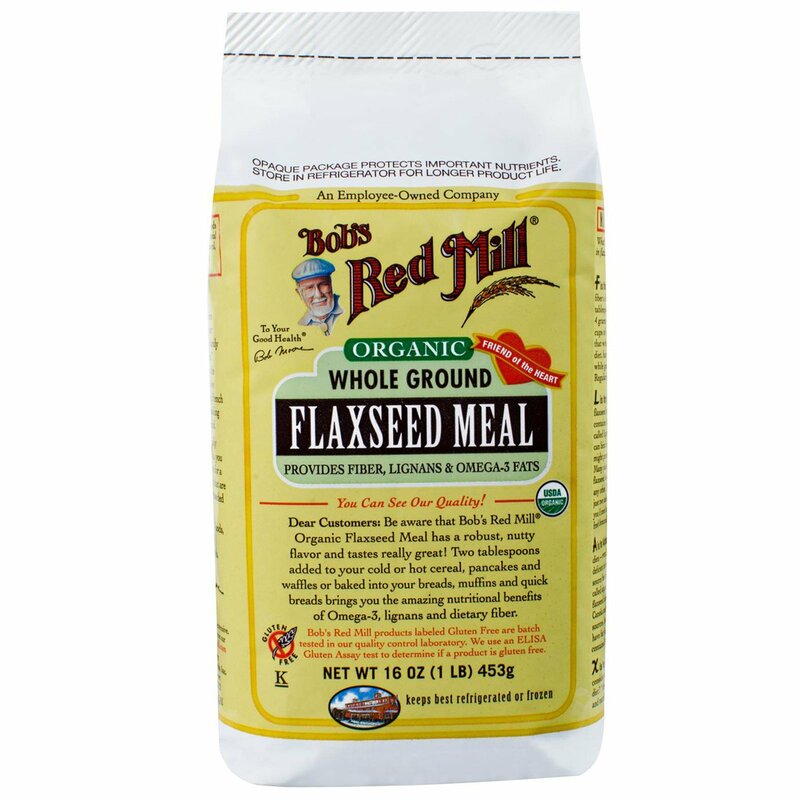 Should you consider adding flaxseed meal to your diet? "Absolutely," say many doctors and nutritionists. Sprinkle on hot or cold cereal. Opaque package protects important nutrients. Store in refrigerator for longerproduct life.